I have been absolutely loving ASOS lately! I’ve gotten quite a few things and thought I would put together some outfits to do a fall clothing haul and try-on. ASOS has a ton of different brands to choose from, as well as excellent sizing options. They also offer free shipping if you spend over $40 and free returns, so that makes buying online a lot easier! This ‘In Your Dreams’ sweatshirt features a mock turtleneck and a babydoll shape. It’s from Lazy Oaf and it’s so comfy! I paired it with ankle leggings also from ASOS and black booties. I can’t wait to wear this on the weekends this fall and be all snuggly. This navy blue t-shirt dress is from ASOS and has an over-sized fit with cuffed sleeves. T-shirt dresses are an easy outfit and can be worn so many different ways! I paired this with a long necklace and tan booties for a more business casual look. 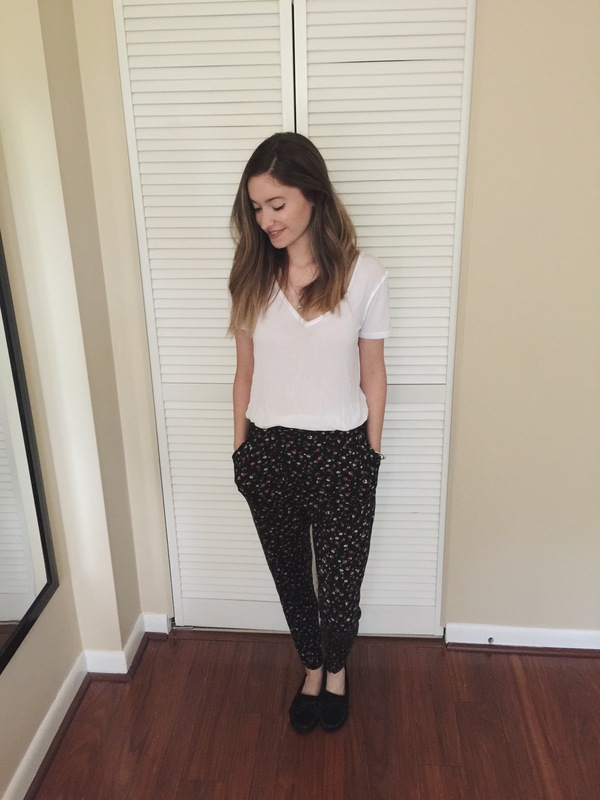 These pants (which I also have in black) are really comfortable and I like the versatility. I throw a t-shirt on with these ASOS pants for work, but I’ve been known to wear them with a crop top on the weekends as well! What would a fall clothing haul blog be without a sweater!? This one from ASOS is a cashmere blend and features a mock turtleneck. I paired this with black ankle leggings and black booties, choosing to keep the attention on the sweater. Fall is here and that means it’s sweater weather! 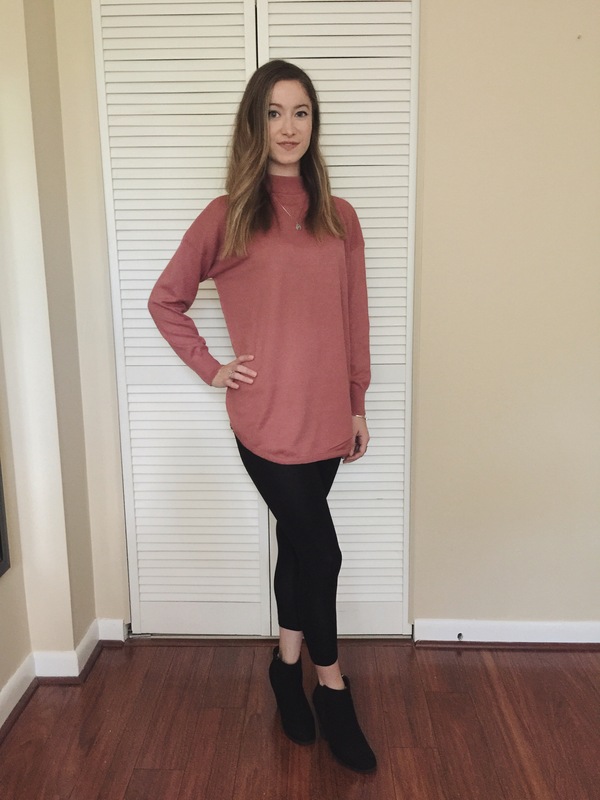 This is a simple, black long sleeve top with slits at the sides towards the front. I really like a simple top and I think this works great for a casual weekend look. 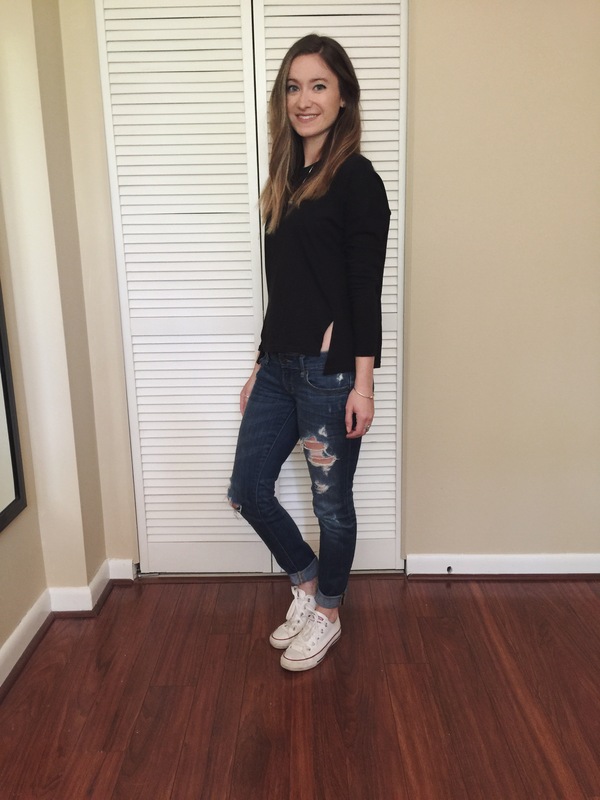 I paired the ASOS top with ripped jeans and white converse! On my lips is Nyx Lingerie liquid lipstick in shade ‘Push-Up’ which I wrote a review on if you’d like to learn more! I will contact u instagram. Tahir. I am a AsosHolic hahah! Have you checked out their beauty section? Amazingggg! I feel ya! I haven’t checked it out yet, but I definitely will now, thanks! Thank you so much! Can’t really go wrong with an ASOS haul. And of course girl! !